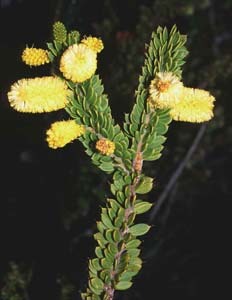 Acacia verticillata is one of several species of Acacia with narrow, hard, sharp, pointed phyllodes. 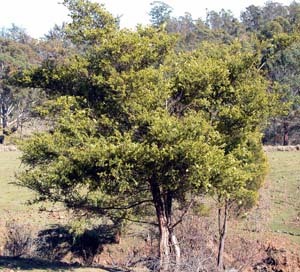 It is very widespread and common as a wet forest understorey species (as a tall shrub or small tree). It is also common on the coast. 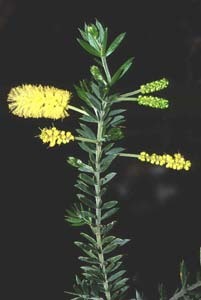 The whorled phyllodes are distinctive, but the phyllodes are very varied. The coastal forms (var. latifolia) have broad, thick phyllodes, whereas forest forms often have very narrow ones.